The following programs takes input of two numbers from user and add, subtract and divide two numbers. We start Selection Sort by scanning the entire given list to find its smallest element and exchange it with the first element, putting the smallest element in its final position in the sorted list. Then we scan the list, starting with the second element, to find the smallest among the last n - 1 elements and exchange it with the second element, putting the second smallest element in its final position. Generally, on the ith pass through the list, which we number from 0 to n - 2, the algorithm searches for the smallest item among the last n - i elements and swaps it with A[i]. 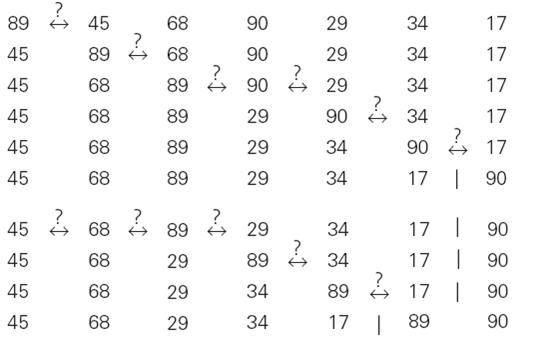 Consider the following element that is to be sorted using selection sort : 89, 45, 68, 90, 29, 34, 17. The analysis of selection sort is straightforward. The input's size is given by the number of elements 'n' and the algorithm's basic operation is the key comparison A[j] < A[min]. 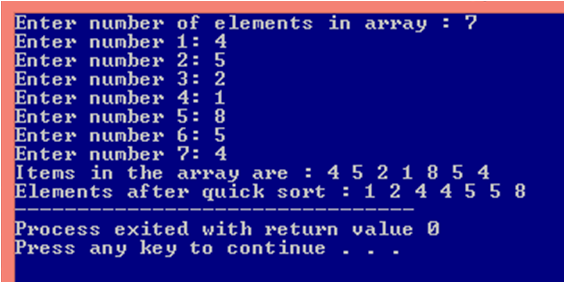 The number of times it is executed depends only on the array's size. 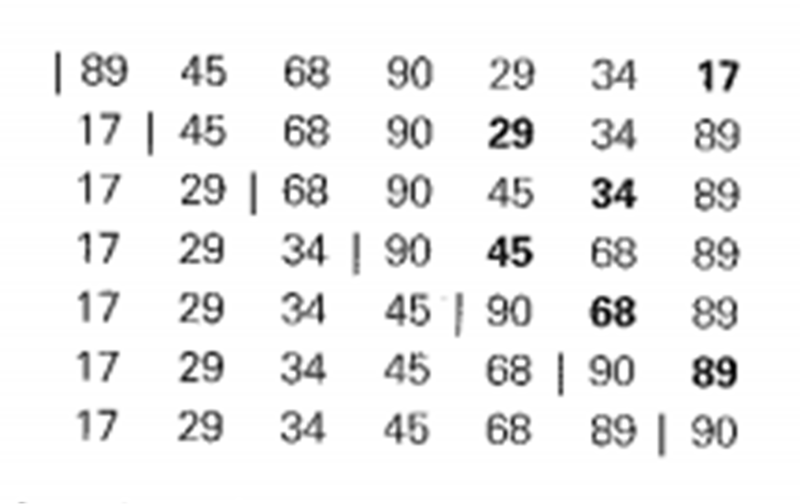 The above figure shows how given elements 89, 45, 68, 90, 29, 34, 17 are sorted according to selection sort. Each line corresponds to one iteration of the algorithm i.e. a pass through the list tail to the right of the vertical bar. An element in bold indicates the smallest element found. Elements to the left of the vertical bar are in their final positions and are not considered in this and subsequent iterations. 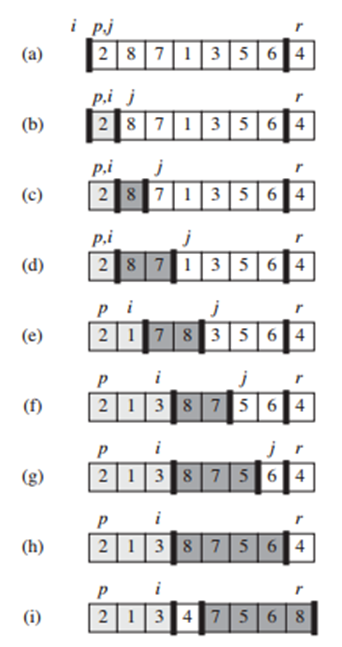 First two passes of bubble sort on the given list 89, 45, 68, 90, 29, 34, 17 is shown in above figure. A new line is shown after a swap of two elements is done. The elements to the right of the vertical bar are in their final positions and are not considered in subsequent iterations of the algorithm. Fibonacci series : Fibonacci series is one in which the nth term is sum of (n-1)th term and (n-2)th term. The first two numbers of series are 0 and 1. Note : You can write much better code than these. So view these example and try to program by yourself. Use your own logic. This would improve your programming skills.